Pistol Pete. Homecoming. Bullet. Game Days. Commencement. Graduation. Oklahoma State is home to over 100 years of traditions, centered upon the unique Formal Gardens and Library Lawn at the heart of the Stillwater campus. 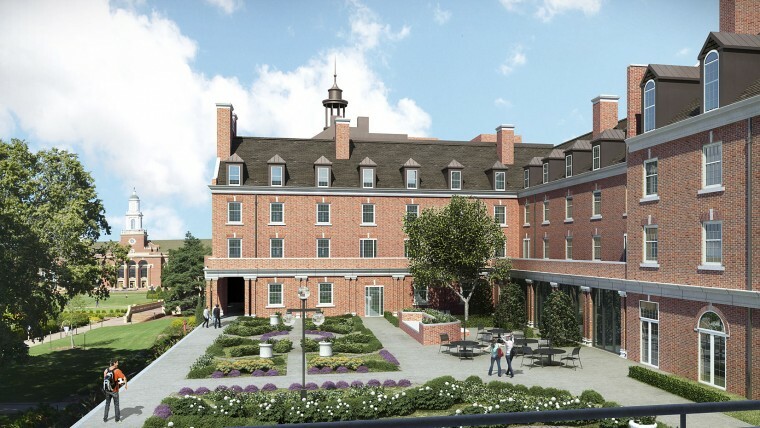 Traditions at the Atherton offers one-, two- and three-bedroom condominiums with five-star amenities and broad views across the lawns and gardens to the iconic tower of the Edmon Low Library. Step onto the balcony and you’re part of the campus. Look down over the Price Family Garden and enjoy the bustling nature of everyday campus life. This is luxurious comfort in your home away from home. This is the new Traditions at the Atherton.